This new Red Cross BLS CPR course addresses core material such as adult and pediatric CPR (including two-rescuer scenarios and the use of bag mask), foreign-body airway obstruction, and automated external defibrillator (AED) use. It also includes Oxygen Therapy and Airway Management, The course is designed for health care providers such as emergency medical services (EMS) personnel, physicians, dentists, nurses, and respiratory therapists who need a credentialed course. This course is also open to first responders who have a duty to respond to a cardiac emergency because of job responsibilities or regulatory requirements. 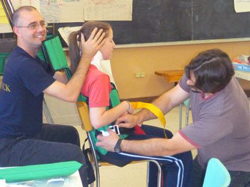 Certification: Canadian Red Cross, BLS provider CPR, valid for 1 year. NOTE: Payment must be received at least 2 business days before the course. Late payments subject to $15.00 late payment fee. 2) Credit Card (Visa, M/C, American Express), paid via PayPal (link below), you don't need to have a PayPal account. Just click on 'Pay with Credit Card or Visa Debit' at the bottom left of the PayPal page. 3) E-Transfer. To pay by e-Transfer, please send the payment to: Laura@LMac-CPR.ca and use lmaccpr (all lower case) for the answer to the security question/password. This new Red Cross BLS CPR course addresses core material such as adult and pediatric CPR (including two-rescuer scenarios and the use of bag mask), foreign-body airway obstruction, and automated external defibrillator (AED) use. It also includes Oxygen Therapy and Airway Management, The course is designed for health care providers such as emergency medical services (EMS) personnel, physicians, dentists, nurses, and respiratory therapists who need a credentialed course. This course is also open to first responders who have a duty to respond to a cardiac emergency because of job responsibilities or regulatory requirements. In addition, it also certifies the participant for Oxygen Administration and Airway Management. 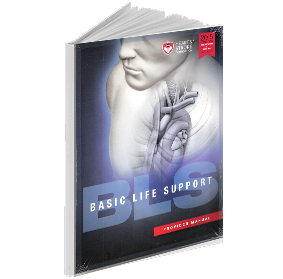 The BLS (formerly Health Care Provider) CPR course contains updated content and science from the 2005 Guidelines for CPR and Emergency Cardiac Care. The course addresses core material such as adult and pediatric CPR (including two-rescuer scenarios and the use of bag mask), foreign-body airway obstruction, and automated external defibrillator (AED) use. The course is designed for health care providers such as emergency medical services (EMS) personnel, physicians, dentists, nurses, and respiratory therapists who need a credentialed course. This course is also open to first responders who have a duty to respond to a cardiac emergency because of job responsibilities or regulatory requirements. This course is for people who are upgrading from a CPR level 'C' to BLS or are transferring from another agency with an equivalent certification..
Certification: Heart and Stroke Foundation, BLS/Health care Provider CPR, valid for 1 year. 5) $65.00 by CASH ONLY the day of the course. NOTE: This is a NEW course just released by Heart & Stroke Foundation of Canada. 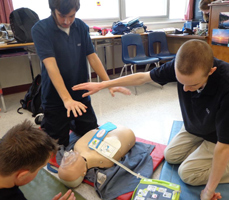 In order to qualify for it, participants MUST hold a current Heart and Stroke Foundation BLS certificate. A scanned copy of that certificate must be forwarded to training@LMac-CPR.ca to ensure this prerequisite is met. This is a skills only session, if the participant is unable to perform the skills without prompting then they will have to take the full length BLS course as listed at the top of this page. The BLS (formerly Health Care Provider) CPR course contains updated content and science from the 2005 Guidelines for CPR and Emergency Cardiac Care. 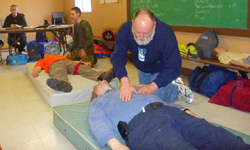 The course addresses core material such as adult and pediatric CPR (including two-rescuer scenarios and the use of bag/valve mask), foreign-body airway obstruction, and automated external defibrillator (AED) use. The course is designed for health care providers such as emergency medical services (EMS) personnel, physicians, dentists, nurses, and respiratory therapists who need a credentialed course. NOTE: Payment must be received at least 2 business days before the course. Late payments subject to $10.00 late payment fee. 5) $50.00 by CASH ONLY the day of the course.